There’s nothing more youthful and alluring than a set of full and luscious lips. We all desire to get that perfect pout, but few of us are blessed with one. So, if you are not one of those lucky ones, why don’t you start working on getting that perfect pout with beautiful full lips? 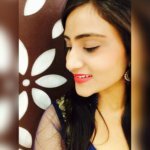 Here in this post, we’re going to tell you the right way to apply red lipstick or any bright/dark lip shade for a perfect pout. Just like skin needs exfoliation first before applying makeup, so do the lips. 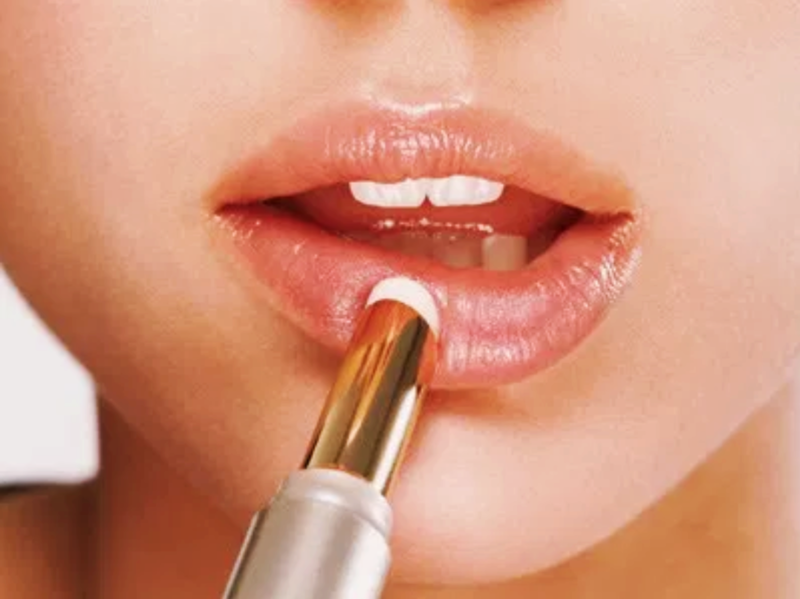 Don’t even think about applying lipstick on chapped lips. It is very important for you to exfoliate your lips before you go for any kind of lip makeup. This will help to get rid of all flaky and dry skin so that you can get smooth lips. Once you have completed exfoliating, its time for you to moisturize your lips. Apply a rich lip balm with hydrating properties before you apply any makeup. This is such an important step but most of us never even think of. You need to find a lip liner that matches your lipstick or in a shade close to it, in order to achieve flawless application and a fuller-looking pout. While outlining, leave out the corners as that would make your bottom lip look thicker. This is one of the most important tips if you thin lips. Once you’ve outlined your entire lip line, the next step is to fill in your lips entirely using your lip liner. Lip liner actually helps in preventing your lipstick from bleeding on your skin. Most liners are super pigmented which means you’ll be wearing your lip color all day long. You will rock throughout the day in selfies and gatherings, flaunt your pout through beautiful full lips. 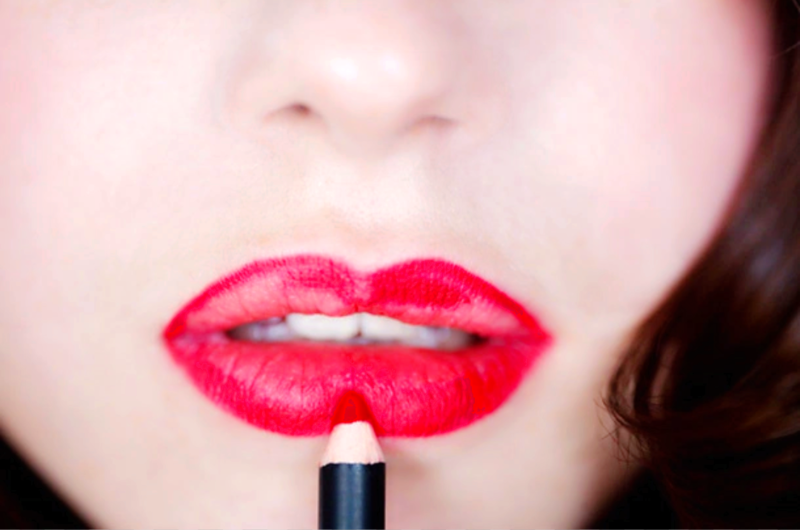 Now, get hold the lip colour you like the best and apply it evenly across your lips. Try using a lip brush as it gives you better precision for application in between the lines. After moisturizing, apply a little bit of concealer on your lips. This will impart a matte effect to your lips while ensuring that the lip colour to be applied henceforth lasts long. After applying the lip colour (i.e. step 5), hold a tissue paper over your mouth, and then dust translucent powder over it (Just the way it has shown in the picture). 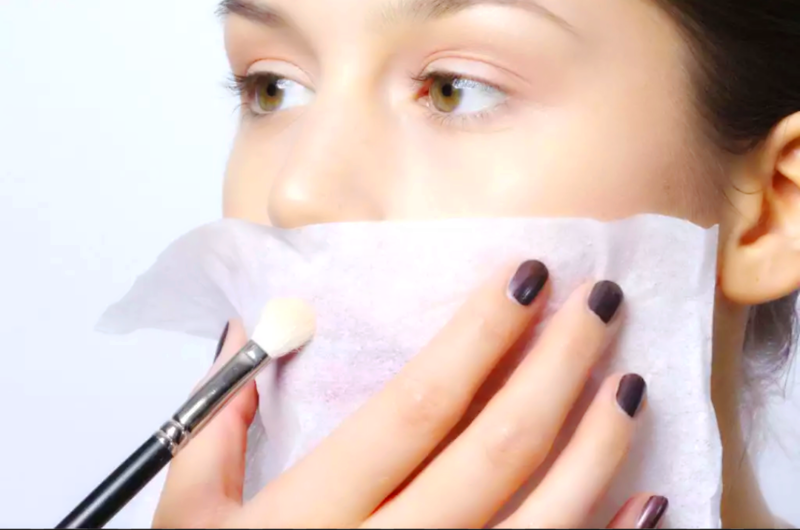 This technique of transferring a small amount of powder through the tissue will help you lock in your colour. You can easily fix your mistakes if done any around your lips by using a concealer and a concealer brush. 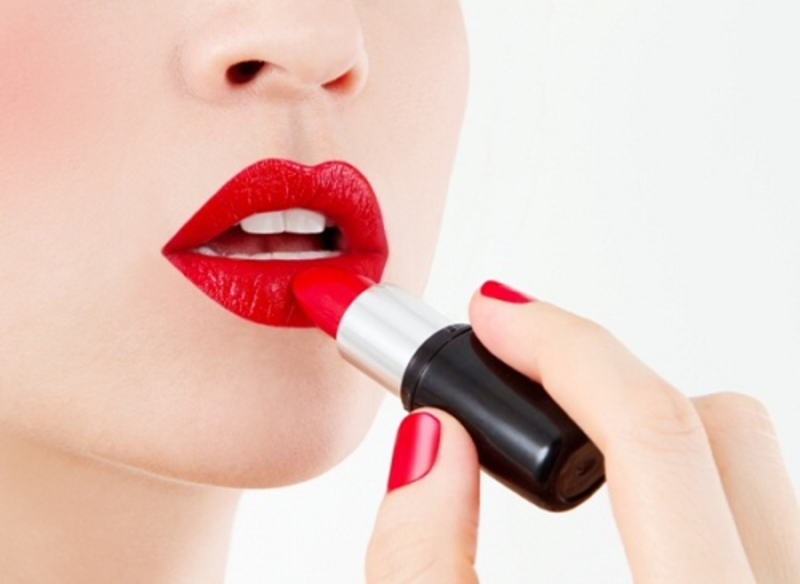 Try doing these simple steps with some makeup hacks to get that perfect pout and full lips. 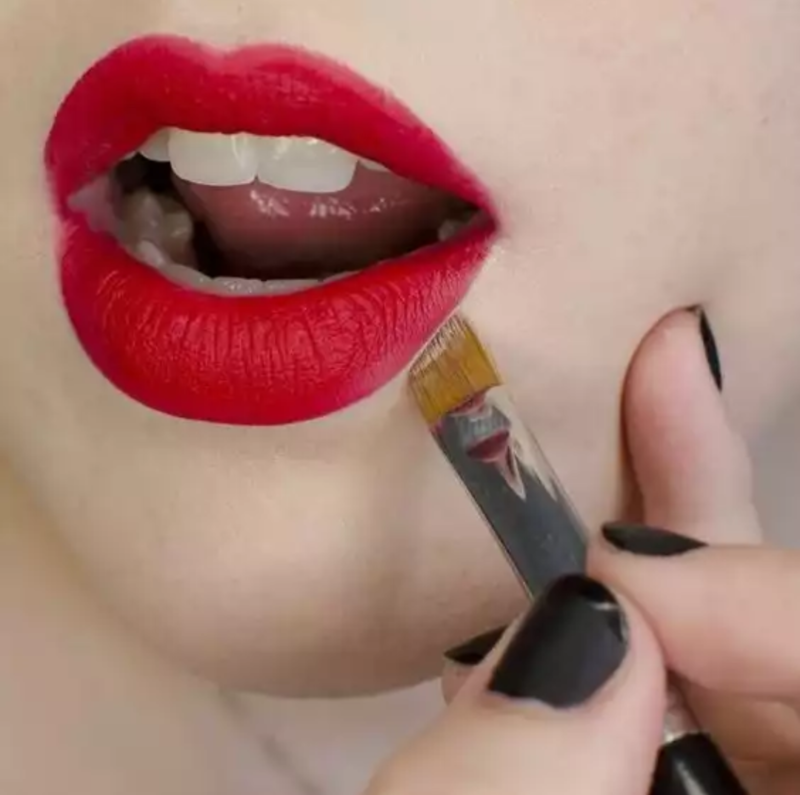 There are many lip enhancers as well but they are pretty expensive to burn a hole in your wallet, but with these simple DIY’s, tips and tricks you will adorn the same result. So girls get onto it and flaunt the world. Do share if you have some tip that we have missed.